In 2003, God began to lay the groundwork and foundation for a men’s ministry that was concerned about the deep-seated issues faced by men. The ministry wasn’t, at the time, didn’t have all the pieces in order, nor all the answers. Based out of the Mt. 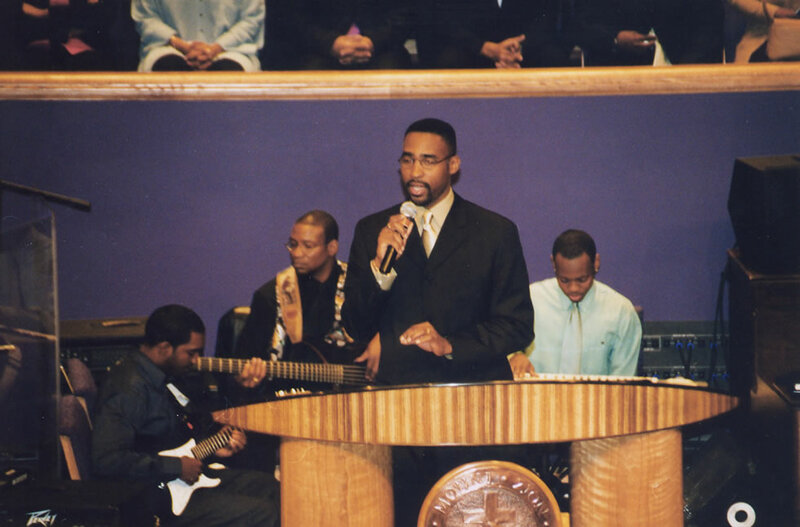 Zion Baptist Church of Nashville, a few men got together and programmed events and activities to simply “come,” “listen,” “share,” and “care” for the real concerns of other men. What we began to experience was phenomenal! It didn’t happen instantly. It took a few meetings. We had to ensure that there were no distractions in the entire building. We had to ensure that the programming and information was age appropriate. We had to compliment our weekly meetings with regular bible study. And, over time, you could feel the barriers that traditionally stand between men started to come down. Men who seemed tense began to unfold their arms and share a smile or a testimony. Men who never talked, began to talk to younger men who genuinely solicited and asked for their knowledge. The ministry grew and the impact broadened over time. Out of that venue New MENtality was born. It was born out of a response to approach other men in a new way. New MENtality was launched with the goal of empowering men with the consistent support they needed to change their old ways of looking at spirituality, relationships, responsibility, fatherhood, marriage, and health. Since it’s inception, men who’ve been impacted by New MENtality have continued to request a new manifestation of this powerful ministry. Considering the state of our nations youth, fragile and disorganized families, only a program with the transformative power of New MENtality is capable of ushering in a new mentality to face these unique challenges. With a rich history of providing consistent bible studies, non-threatening social activities, health screenings, clothing drives, workshops on personal purpose, business/entrepreneurship, relationships, interpersonal skills, and finances New MENtality’s impact has been felt across the United States. While it was a miracle no one was killed nor hurt seriously, the impact of this violent act hit city leaders like a ton of bricks. Not only did the magnitude and potential consequences shake us at our core, but in a subliminal and unspoken level, the facts. The majority of those involved were African American males. If present research and statistics hold true, a great majority of those involved will be from a single parent family, not know their father, have a close family member in prison, never had a mentor, not be prepared for high school graduation, not planning for college nor the military, not attending a local church or mosque, not have a job, have a police record, live in a high risk neighborhood, and/or be affiliated with a drug influenced gang. This act of violence among the cities children, and more specifically young at-risk men, marred what was considered a very successful nation-wide cultural event, that has a tradition and record of providing a massive exposition, free health screenings, much needed job fairs, and business card exchanges among other useful activities. Newspapers and online outlets reported that the motivation behind this attack was motivated by a conflict between two people that got out of hand. The backlash was swift. The questions posed were pointed and anticipated. Similar violence erupted in 2008 and in 2009. Over and over again, the same outcome seems to be the expectation. Yet, the pink elephant in the press conferences were still performing in the middle of the room. Will the answers to this year’s replay of 2008 and 2009 make a difference? More police, more state troopers, more mace, more guns, more barricades, more safe zones, more task forces, more reviews and reports, and more criticism of an otherwise great event won’t stop the barrage of negative reactions to young (and old) at-risk boys and men. None of this is new and NEW is what is needed. Fresh is what is needed to curb what has now gotten out of total control with our young men. Innovation is needed to look at our present state with a new perspective and goal of eradicating old paradigms.